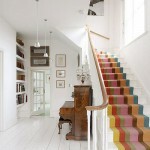 Love this rainbow striped wall. 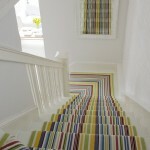 I think that as a child I was truly affected by Rainbow Brite and The Care Bears, I seem to always go for the rainbow! 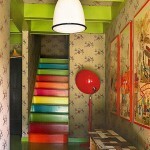 This entry was posted on Thursday, June 14th, 2012 at 12:16 pm	and is filed under Colorful, Foyer. You can follow any comments to this entry through the RSS 2.0 feed. You can leave a comment, or trackback.